A new bipartisan bill will modernize voter registration and bring Nebraska's election system into the 21st century. It's also the first modernization bill to pass since the president's voting commission recommended it as a key way to improve elections. Crossposted in the Omaha World-Herald. Welcome to the digital age, Nebraska. Gov. Dave Heineman signed a bill Monday that will make Nebraska the 22nd state to enact online voter registration. That same law also brings technological innovations to the Department of Motor Vehicles, making Nebraska one of 26 states to transfer voter registration data electronically from DMV offices directly to election officials, without the use of paper forms. What does this mean for Nebraska voters? Nebraskans with a driver's license or state identification card will be able to register to vote through the Secretary of State's Office website anywhere and anytime they have Internet access. Those who still wish to mail in their paper application will be able to do so. The DMV will be operating, at least when it comes to voter registration, in the 21st century. The voter rolls will also be more accurate, registration applications will be processed more efficiently, and election offices will save resources. Experience in other states shows these reforms work. Instead of paper, relevant voter information will come to election officials in a digital form. This will create more accurate records because election officials will no longer need to read messy handwriting and manually type in the information. Cleaner rolls will lead to shorter lines on Election Day, less frustration and confusion at the polls, and reduced likelihood that eligible voters will be wrongfully denied the right to vote. Not relying on paper and people will also save money. Arizona made this same change at its DMV in 2002, and Maricopa County, the state's most populous, reported saving more than $370,000 in a single year. Local officials in Arizona estimated that they spent 83 cents to process a paper registration form but only 3 cents to process an electronic one. 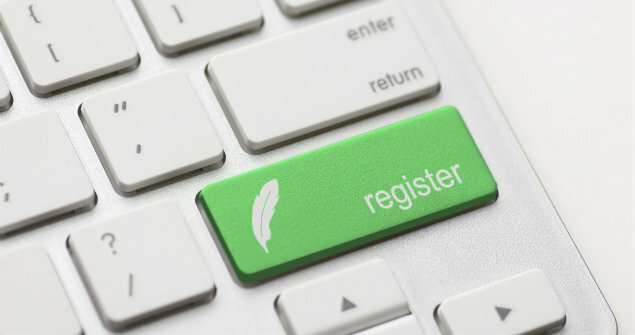 Similarly, when Delaware adopted online registration, it saved approximately $200,000. It costs a lot of money and time (which is money) we don't have to read and input paper-based applications. These reforms will help modernize the system. Also, Nebraska gets the unofficial award for being the first state in the nation to enact a law to modernize voter registration since the Presidential Commission on Election Administration recommended it as a key reform to improve elections in America. The commission was headed by the lead lawyers for the Mitt Romney and Barack Obama campaigns, and it included election officials and private-sector professionals with expertise in customer service. They traveled the country and spoke to election administrators, academics, voters and advocates to learn what is wrong with our election system and how it can be fixed. Their recommendations, published in January, include the two reforms Nebraska just passed. Congratulations to Secretary of State John Gale, the Nebraska Legislature and Gov. Heineman for working in a bipartisan way to improve our election systems. Nebraska deserves the best and most reliable election system possible. This new law is a great place to start. McLarty is a policy aide with Nebraskans for Civic Reform. Clark is counsel at the Brennan Center for Justice at the New York University School of Law.